Your coffee table is the anchor of the living room. Both functional and decorative, it’s meant to house your cheese plate (and pizza box) and show off that cool ashtray you found in Austin (though you’ve given up smoking). Putting things on it — it’s a careful balance. 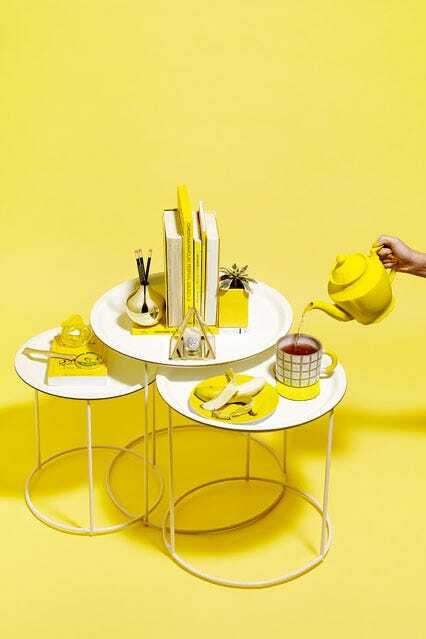 Often, though, coffee tables look a little predictable and, well, boring. A few fancy $20 shelter magazines here. A vase without flowers (because we aren’t Mrs. Dalloway) there. 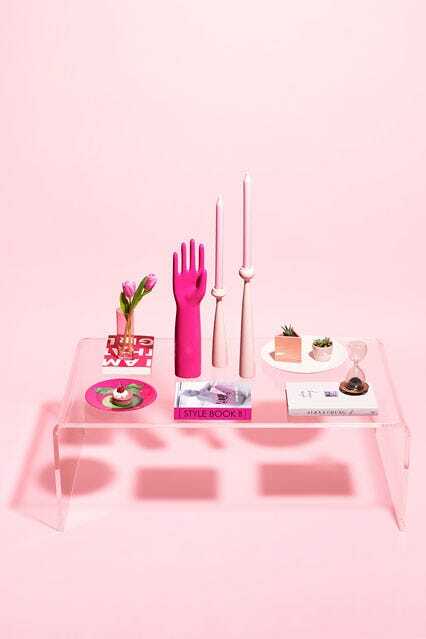 But, what if you went totally crazy and made the table a true centerpiece? We created monochromatic arrangements with different stacking techniques for round, square, and rectangle bases. The nice thing? You can go full intensity with color, or just sprinkle a little throughout. Pick your poison of pink, yellow, or blue, and then mix in touches of copper, gold, and silver for a twist. It’s like faking spring in your apartment during these dreary January days. 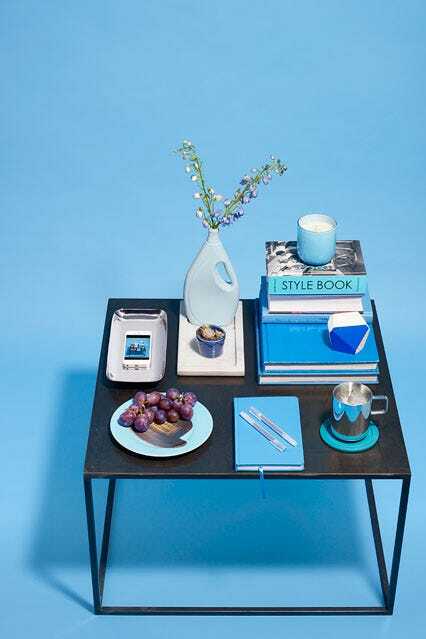 Tip 1: In a small space, a long, clear table appears to take up no room, since it’s practically invisible. All the items just seem to float. Added bonus: You can always stack those cool shelter magazines neatly in a row underneath. Tip 2: Create distance between each item, so each seems to be its own island. Succulents, however, look best when they stick together. 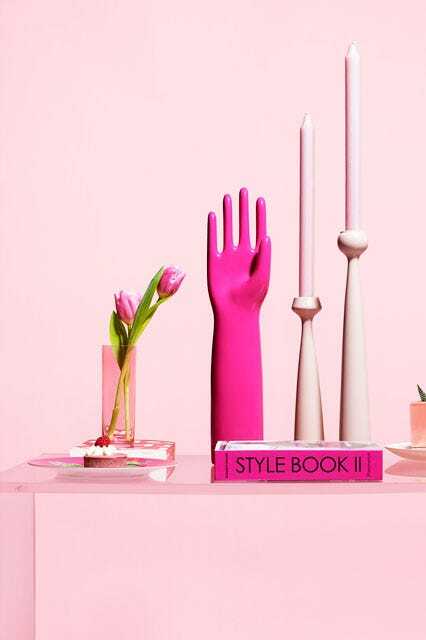 Tip 3: Play with height and length by using tall candlesticks and the hot-pink hand mold, which contrast with the length of the table. Tip 1: If you really have zero space for a traditional table, circle nesting options, like these from BoConcept, are ideal since you can pull them out when you have guests and then stack them together for everyday. Tip 2: Use one book as a base, and then stack others vertically as a centerpiece (it’s okay if some of the spines face the other way!). 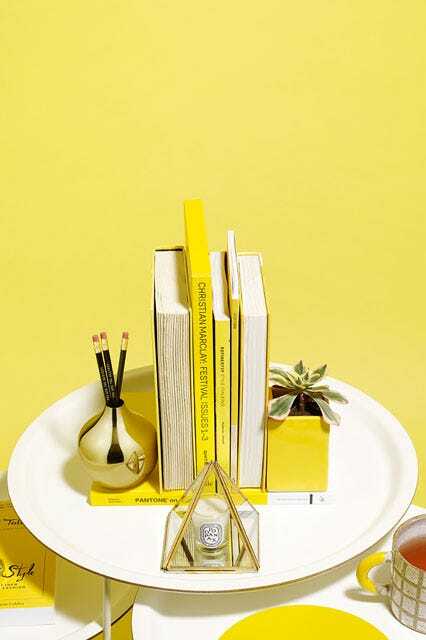 Flank the books with a plant and a vase filled with pencils (for game night). Tip 3: Vary the shapes in the centerpiece. 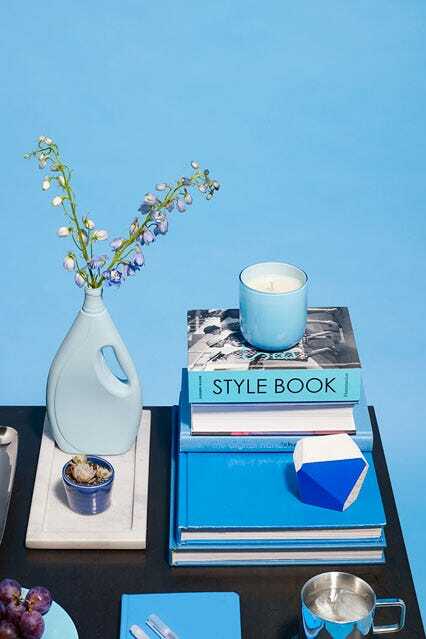 The bulb vase, glass pyramid, and square planter keep it visual interesting. Tip 1: Covering a square table’s surface completely doesn’t mean you won’t be able to set anything down. Designate two areas as landing docks for a mug and plate. Decorating the table intentionally should prevent unnecessary objects from accumulating. Tip 2: Use slim rectangle trays in various textures like marble and silver to create a grid system and keep tchotchkes organized. Tip 3: Stack two large coffee-table books, and then place three other smaller tomes on top for different levels. Perch a candle on the highest point.